Nah, ah, Girl. You need to come over there NOW! SunkissedLife, faithVA, Natural-K and 2 others like this. Realhairdontcare and faithVA like this. shanelallyn30, Chicoro and faithVA like this. YAY!!!! I'd love to hear about the outcome. Let me shimmie on over to the Shea thread to see whats poppin. SunkissedLife, faithVA and Natural-K like this. Thank you! I'll surely let u know how it turns out. @I Am So Blessed I have been using the Walmart brand of HSN vitamins, the pink capsules in the clear bottle. I have noticed a difference with them in my hair, I need to buy more because I recently ran out. I used to use the Mielle Organics vitamins, but the Spring Valley vites work just as well for me. I also made a blend of oils that I use with JBCO, EVOO, EVCO, and Avocado oil. And I use Rice Water in a spray bottle mixed with aloe vera juice. My pics do not do justice to the way my hair has come back to life! It feels so lush and "chunky". I have been using all of this for the past 90 days (at least ) I don't know if this all qualifies as growth aides. snoop, Daina, Chicoro and 3 others like this. Yay!! I'm so glad that your having success with those vitamins. Yeah it's a growth aid in my book. It aided in your growth is a profound way. Keep up the good work. I can't wait to see your hair goals accomplished. Daina, Chicoro, SmilingElephant and 1 other person like this. 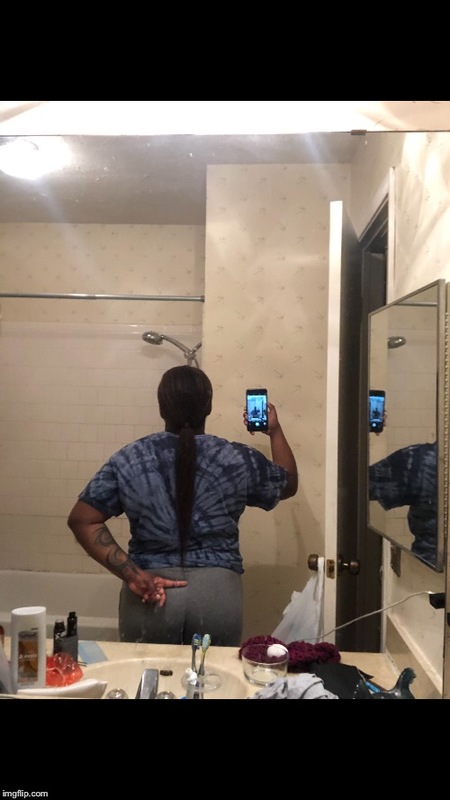 A question for all you ladies with all this length!! DO Y'ALL BELEIVE THAT GROWING YOUR HAIR TO ITS CURRENT LENGTH WAS EASY? If yes: why? If no: Why? I'll go first. I say YES!!! Because all I need to do is detangle, moisturize, leave it alone, tuck away my ends and have patience. SmilingElephant, long.hair.dont.care, faithVA and 2 others like this. I wouldnt say it’s all easy. Retaining length is easy, because I now know what to do to retain that length. When it comes to daily maintenance it’s also a bit more manageable since I go for about a week with my hair protected. The areas of my regimen and growing my hair out in general that aren’t really easy is dealing with such a fine texture. The whole nature of my hair makes it extremely fragile, so I do have to take extra care and precautions, and while I still have a lot of room to improve, and eventually start trimming and maintaining, I’m going in the right direction, which is all I can ask for. SunkissedLife, betteron2day, Daina and 2 others like this. This is a really good question, Sis! Prior to the events of last year, I would instantly say that I would think it's easy to grow my hair to the length that it is now because I have done it about 2-3 times already. But due to the circumstances of Fall 2018...GURL! I was so scared that my hair was not going to bounce back from the state it was in! I had NEVER seen my hair like that since when it fell out in high school in 2004! (Bad combo of a stylist bleaching me blonde and relaxing my hair soon after) I was so afraid my fluffy, curly fro was not gonna come back! However, thanks to me getting back to my regular regimen and taking the necessary supplements, my hair has really surprised me! I learned to not take my hair for granted, and I am grateful for the length that it is. Although I am trying to grow my hair to HL/TBL, I am enjoying my current MBL/WL length and the curls and shrinkage that comes with it. chocolat79, Realhairdontcare, I Am So Blessed and 4 others like this. I was just wondering if any of you ladies are slow growers? I Am So Blessed and faithVA like this. GGsKin, JFK, ItsMeLilLucky and 5 others like this. NO! But with a caveat. ONCE I figured out what to do, it became and is easy. The hard part is finding what works. 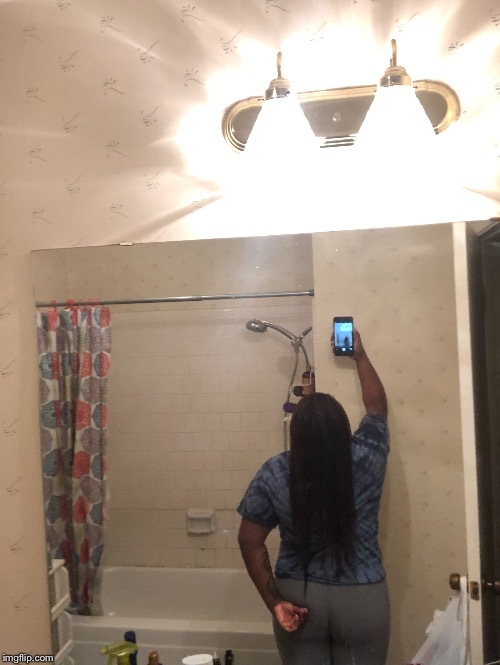 I first figured out how to grow my hair to my waist and that took years. It took me another 5 to 7 years, after that, to figure out how to grow my hair beyond my waist, past my hips and now past my tailbone with a repeatable process, based on understanding and knowledge. I think I got it, now! GGsKin, ItsMeLilLucky, SunkissedLife and 8 others like this. Hey Snoop! I thought I was a slow(er) grower, but i average 1/2 per month consistently. ItsMeLilLucky, SunkissedLife, Realhairdontcare and 2 others like this. Y'all are so nice for not calling me out for not posting a picture lately. I need another length check picture to relace my avatar. I will post one tomorrow night. ItsMeLilLucky, faithVA, Chicoro and 2 others like this. Where, where, where it’s at tho? GGsKin, ItsMeLilLucky, I Am So Blessed and 3 others like this. Finding the products and routine that worked for me was hard. Once I figured that out, growing to hip was easy . @snoop My hair grows a little faster than average. SunkissedLife, I Am So Blessed, faithVA and 1 other person like this. I know! Ok I lied. Forgive me. Tomorrow for sure after I get home from work I'll do a detangle and post a picture. Thank you for calling me out on my misbehaviour. PlanetCybertron and faithVA like this. This was my hair on my last trim on September 21st 2018. (I put on the same clothes tonight to get an accurate visual). I was Waist Length and now I think I'm HL. What do y'all say? brg240, Natural-K, Fotchygirl and 20 others like this. @I Am So Blessed Very nice progress. Looks HL to me. Congrats! keranikki, GGsKin, ElevatedEnergy and 3 others like this. Thank you!! So it's official!! I made it. keranikki, ElevatedEnergy, Chicoro and 2 others like this. keranikki, Natural-K, I Am So Blessed and 1 other person like this. Hmm... I see 5 inches gained and tailbone length! keranikki, Natural-K, GGsKin and 5 others like this. keranikki, Natural-K, GGsKin and 4 others like this. Thank you both. Five inches?! Wow. Tailbone? Wow I don't know what to say. That's awesome. keranikki, Natural-K, NowIAmNappy and 1 other person like this. keranikki, faithVA and snoop like this. keranikki, Chicoro and faithVA like this. Actually about a good inch PASSED hip length!! keranikki, MzSwift, SunkissedLife and 3 others like this. I posted this in the Shea Growth thread, but since I’m in this challange too, I’m gonna contribute more. This picture was take. After a full wash day, and detangling. You can see it in my lighter parts, they look stiff and crunchy. Mostly because they were. •Deep Condition: was needing a hard protein treatment to fill in the gaps of my longer lengths so I blended one egg with some of my SM MH leave-in, left it on under a heat cap for 35 mins, and rinsed. I can’t really see a difference (very small one in my photos), but my measuring tape now says 35.5 inches. So I’ll take that as a victory. 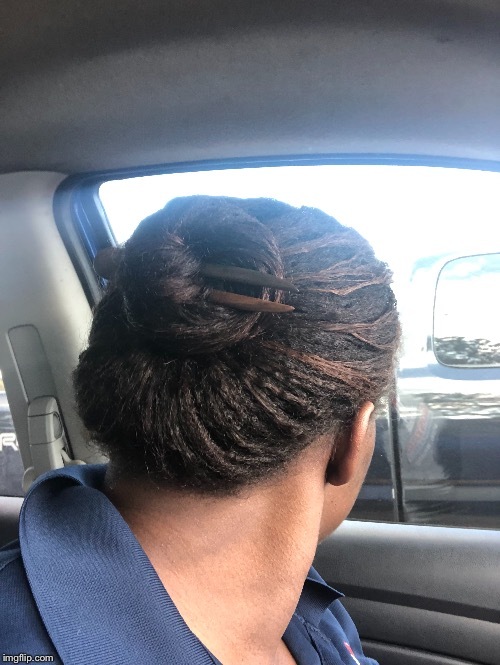 My hair is now up in 4 braids/plaits, and next week I will be specifically looking for a different line to try altogether. My hair seems to not be responding well to SM products anymore. It’s either Mielle Organics, Oyin, or DevaCurl. I’m leaning more towards Oyin just because most of their products always do my hair good. As far as Shea Butter I will be purchasing a new tub next week as well. And probably adding in some Coco Butter as well. keranikki, GraceandJoy, MzSwift and 6 others like this. Wow!! @PlanetCybertron 35.5 inches!!? That's long! That's quite an accomplishment. And Thank you! keranikki, PlanetCybertron, ItsMeLilLucky and 2 others like this.